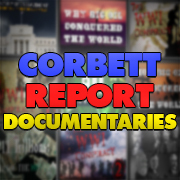 http://www.corbettreport.com/mp3/2015-11-25%20PFT%20Live.mp3 Today on Press For Truth Live Dan Dicks is joined on the line by James Corbett of corberttreport.com to talk about the downing of a Russian Jet by Turkish forces and what the implications are during the build up toward a Third World War and we’ll also be speaking in studio with Paul Verge of tragedyandhope.com to discus the war in the middle east and the Syrian refugee situation. 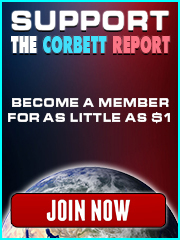 http://www.corbettreport.com/mp3/2015-11-18%20William%20Engdahl.mp3 F. William Engdahl of WilliamEngdahl.com joins us today to give his perspective on the Paris attacks. We discuss the historical background to what is taking place now in Syria, how it plays into the current geopolitical agenda of the US/NATO military powers, and what it means for France, Syria and the world moving forward. https://www.corbettreport.com/mp3/flnwo26-lq.mp3 Satire? Farce? Romance? Comedy? Documentary? Dream? Mundane reality? A subversive critique of the system, or merely more predictive programming of an inescapable tyranny? Join us on this month’s edition of Film, Literature and the New World Order as we attempt to answer the deceptively simple question: What is “Brazil”?